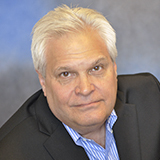 Keith Biondo is the publisher of Inbound Logistics magazine. The latest Ransomware attack lays bare hidden risks in your manufacturing, logistics, and supply chain network. You can protect against the ever-evolving threat of Bitcoin pirates by looking deeper into your operations. The attack is introduced into networks with Spear Fishing emails. Once activated, the malware locks and ecrypts your files, and files across all infected computers on your network. The only way to get them back is to pay $300 in Bitcoin and hope the bad guys actually deliver the unlock (sometimes they don't). If your company is affected/infected, you have three choices, according to the FBI: revert to backup systems (if you have them done regularly), contact a security professional (many say this type of attack is not reversible), or pay the ransom. Your desktop may be protected because those computers are usually newer and have updated security patches. Operating systems most at risk are Windows XP, Vista, Windows 8, Windows Server 2003 and 2008. Experts agree, however, that no OS platform is completely safe because bad guys go where the money is.